You Will Pass NCLEX the First Time! 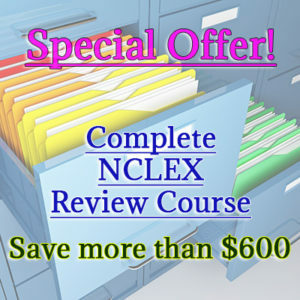 NCLEX-RN (LPN) Preparation Courses Success Guaranteed – You Will Pass NCLEX the First Time! Our knowledgeable and experienced staff is here to help you with all your RN and PN licensing needs. We can provide you with any level of assistance, from completely preparing and managing all RN, PN and CGFNS applications, to just answering a few simple questions so you can make an informed choice. Avoid CGFNS delays, confusion and overpaying for unnecessary services. Professionally prepared applications will ensure that your CGFNS process will be completed in a shortest possible time. Learn how to get your RN license without having to take CGFNS exam or TOEFL. Contact us for a free and easy, no obligations consultation.